The 5050W from Liberty Pump is a Duplex Sump Pump Control w/ Wide Angle Floats, 120VAC, NEMA 1, for up to 1HP pumps (15A). It features a 10' power cord, NEMA 1 indoor rated enclosure, factory wired floats and an audible and visual alarm. 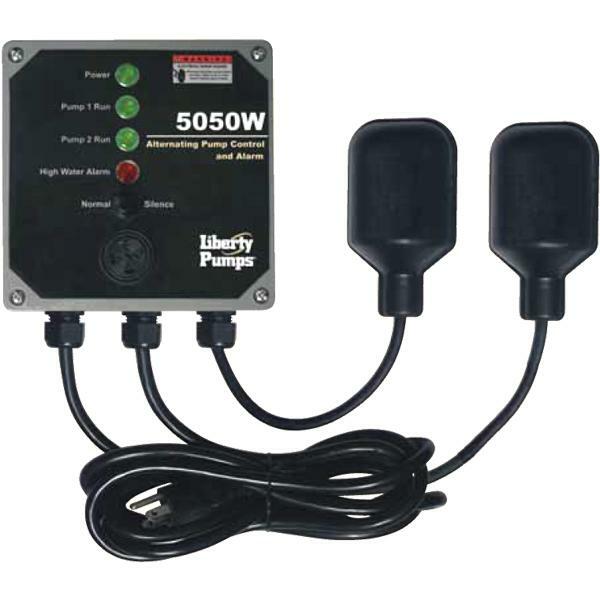 This Liberty Pump part provides alternating operation of two 120V pumps.